Businesses and business owners encounter legal risks in the workplace. Brigid E. Heid regularly assists them in managing these risks. She counsels on best practices and procedures, handbooks, wage and hour, employee leave and discipline, EEO, internal investigations, and protecting intellectual property and confidential information. She also represents employers in state and federal court and administrative agencies throughout Ohio. Ms. Heid is a member of the Labor & Employment and Business Litigation Practice Groups at Eastman & Smith. 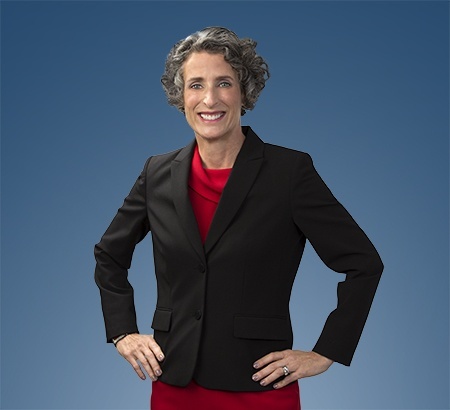 Ms. Heid chairs the Employment Law Committee of The Ohio Academy of Civil Trial Attorneys (OACTA), is a past-president of the Columbus Bar Association (CBA) serves on The American Bar Association’s House of Delegates as the CBA Representative. She was honored by her peers by being named one of the Top 25 Women Attorneys in Columbus, Ohio and a Super Lawyer® by Law & Politics Magazine and by being named a Best Lawyer in Employment Law by Best Lawyers®. The Litigation Counsel of America™ and The Columbus Bar Foundation count Ms. Heid as a fellow. She also has achieved the highest AV Preeminent® rating by Martindale-Hubbell Peer Review Ratings. Ms. Heid holds both a law degree and an undergraduate degree (chemistry) from The Ohio State University. Besides law, Ms. Heid has many other interests. She and her husband adopt rescue dogs and enjoy vacationing in the great outdoors. Golf is one of her primary avocations. Painting is another. While Ms. Heid currently resides in Columbus, she is originally from Fremont, Ohio.